Tomb Raider, which starred Oscar-winner Alicia Vikander in the lead, is reportedly getting a sequel. According to a report on Deadline, MGM and Warner Bros have roped in writer Amy Jump for the sequel. According to the publication’s sources, Jump was hired as a result of Vikander’s appreciation of the writer’s scripting. In addition to co-writing the Brie Larson-starrer Free Fire with director Ben Wheatley, Amy Jump has also worked on Kill List, A Field in England and more. The report suggested that Alicia Vikander liked what she read in the new script and will reprise her role as Lara Croft in the upcoming sequel. As of now, the details about the sequel’s plot as well as the movie’s director remain under wraps. However, Graham King’s British production company GK Films, which produced Tomb Raider, will also be producing the film’s sequel along with Elizabeth Cantillon. 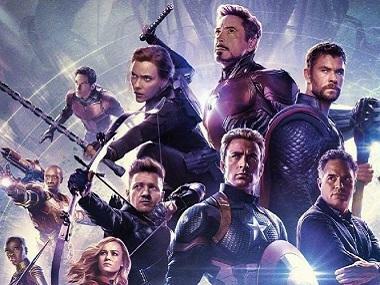 According to Box Office Mojo, the film — with a production budget of $94 million — directed by Roar Uthaug and written by Captain Marvel's Geneva Robertson-Dworet, grossed about $275 million at the end of its worldwide box office run. The 2018 film also starred Dominic West, Walton Goggins, Daniel Wu and Kristin Scott Thomas in key roles. Apart from Tomb Raider, Vikander has a series of projects lined up such as Green Knight, Earthquake Bird and The Glorias: A Life on the Road, in which she’ll star as Gloria Steinem.